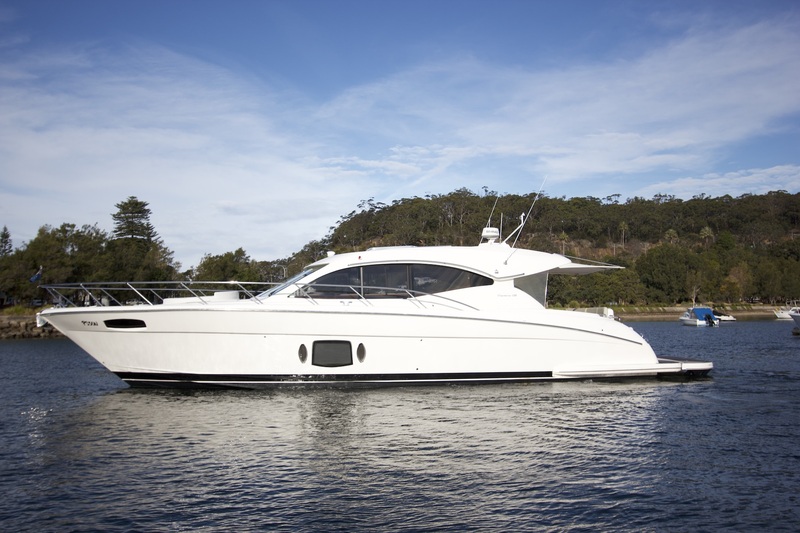 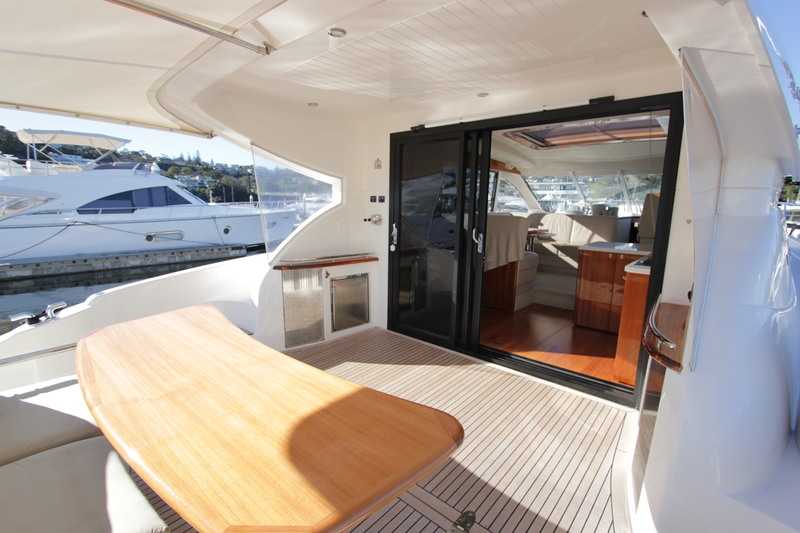 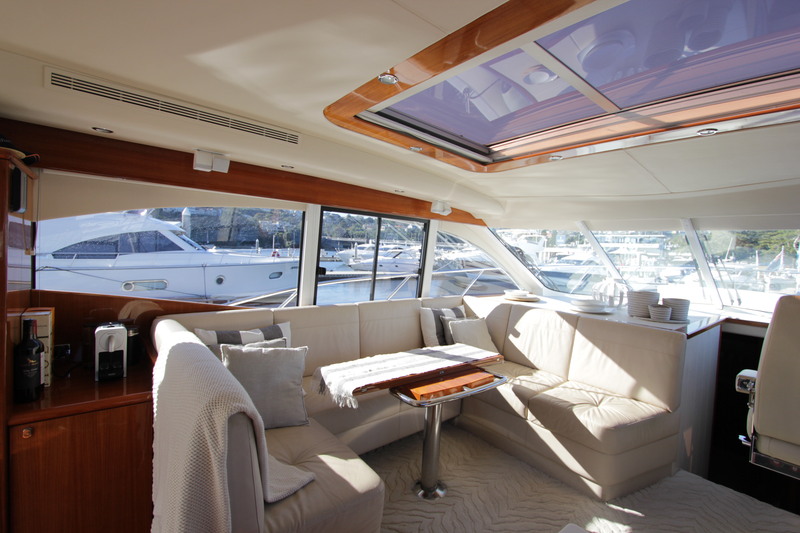 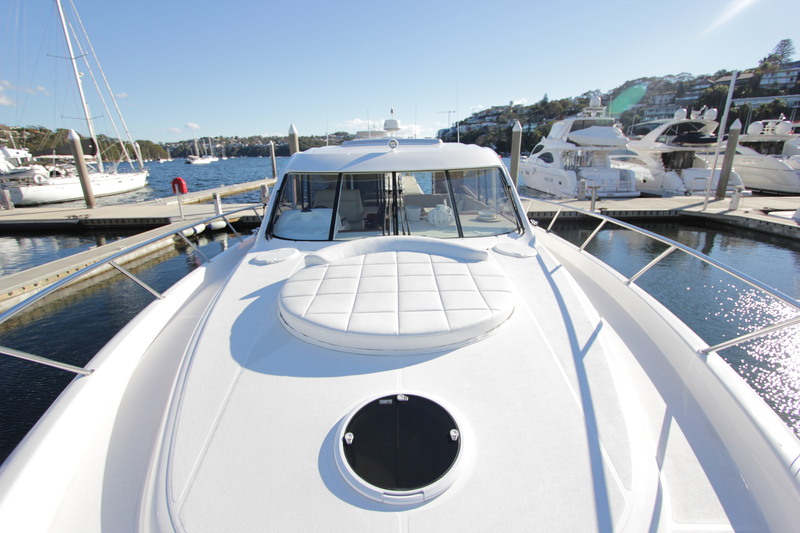 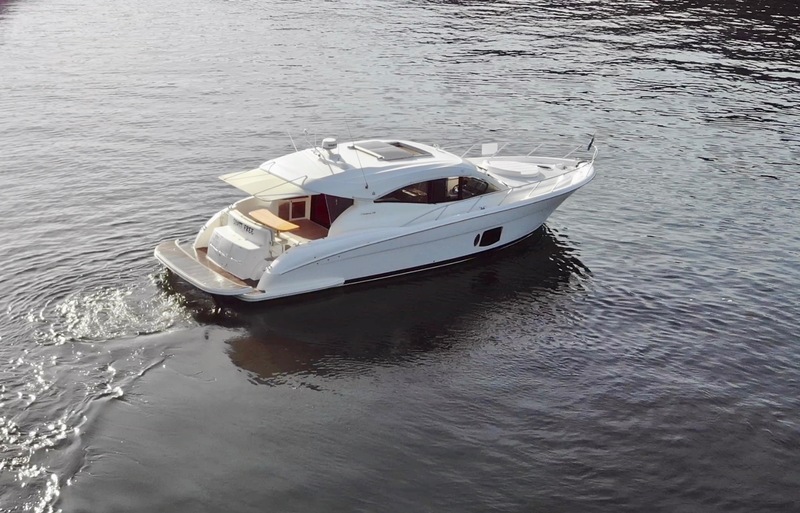 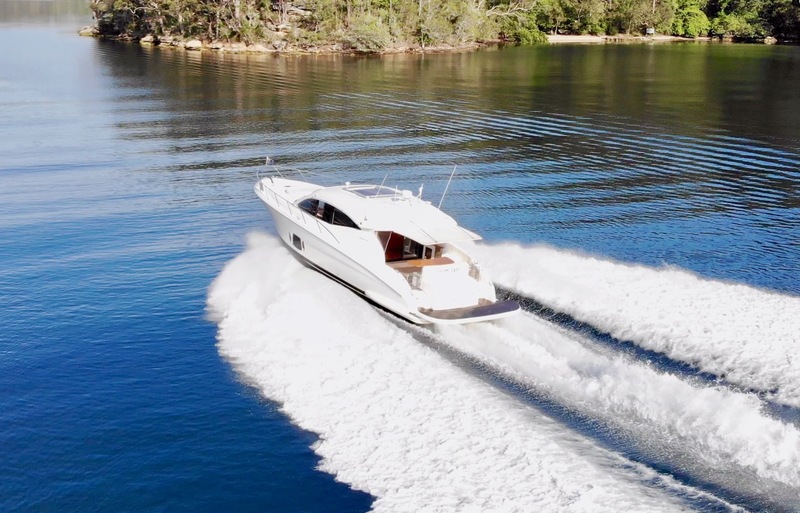 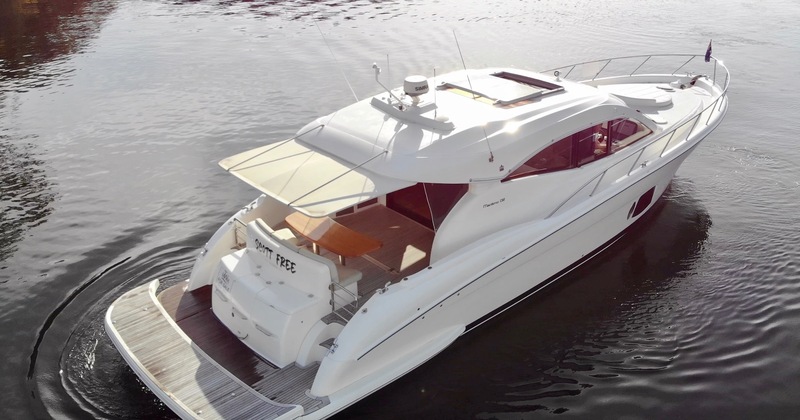 This Maritimo C50 is a big volume Sports boat that provides the perfect entertaining and cruising platform, it has just been serviced and is ready to go for Summer! 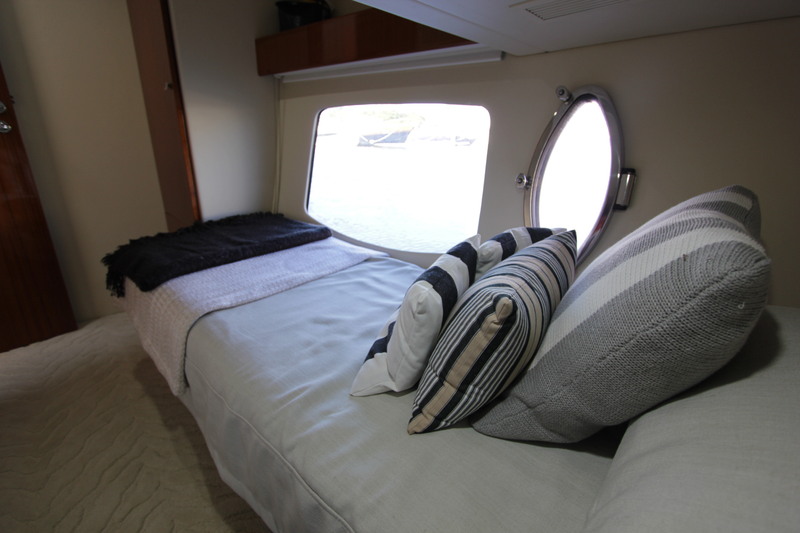 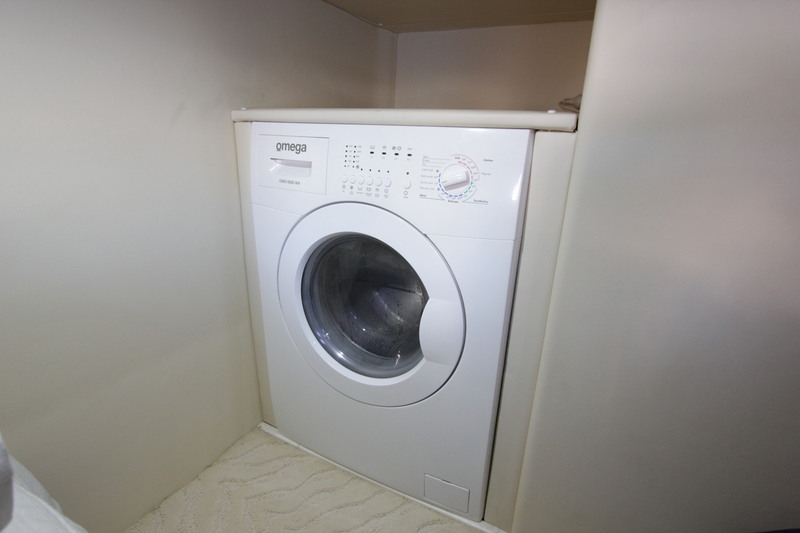 Well appointed throughout with a fully functional galley that includes ample storage, a convection microwave oven, a four burner cook top, dishdrawer, and fridge-freezer. 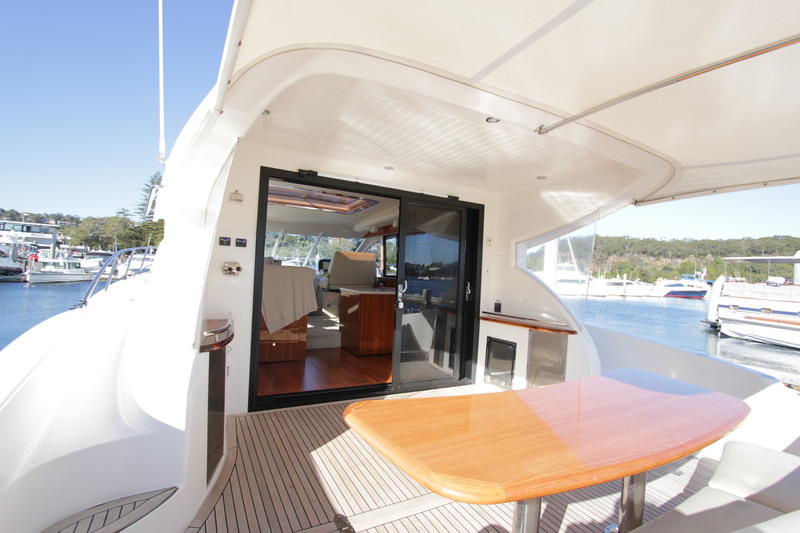 The galley steps through the double doors that join the outdoor entertaining space that is fitted with fridge and icemaker. 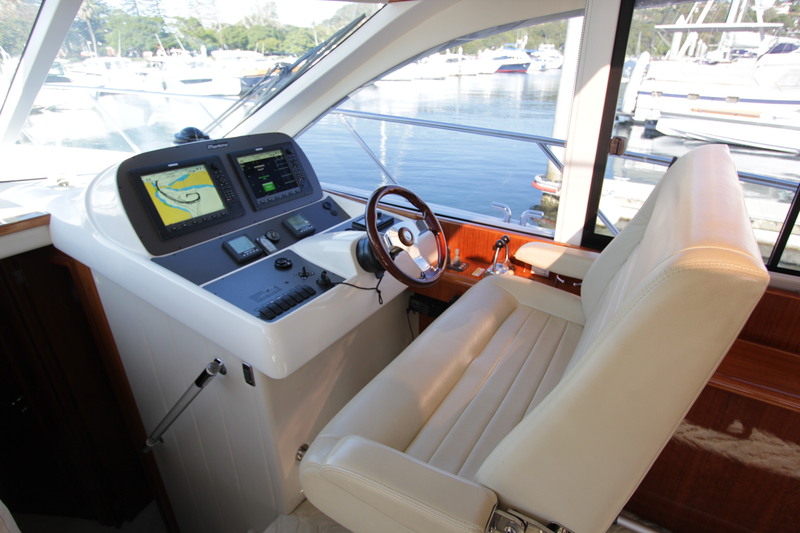 The large cockpit steps down onto a large swim platform with hydraulic extension that could hold a jetski or simply be used to lay about in the water. 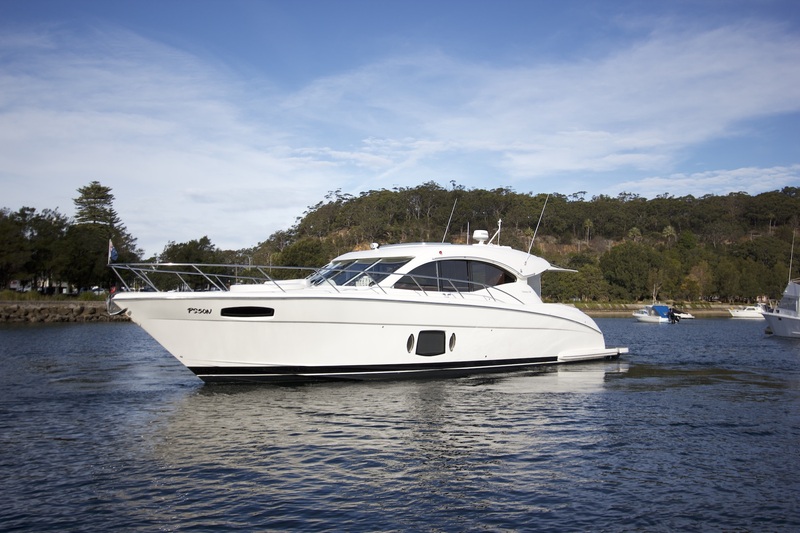 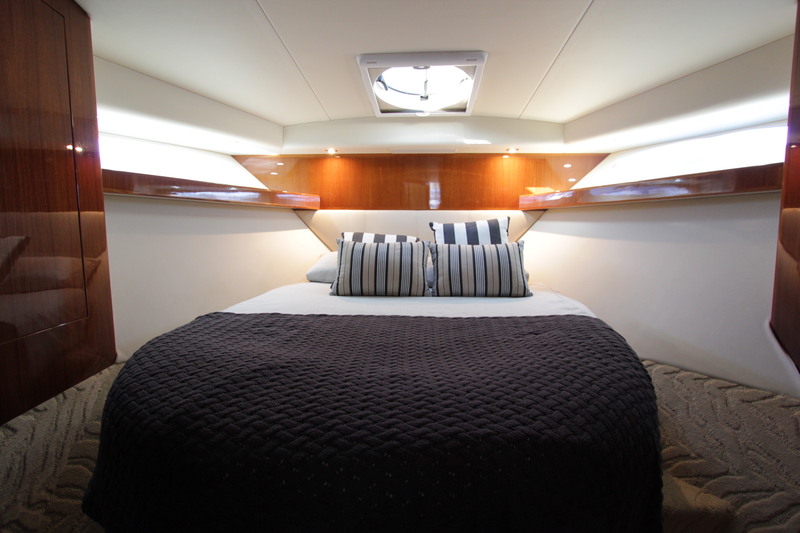 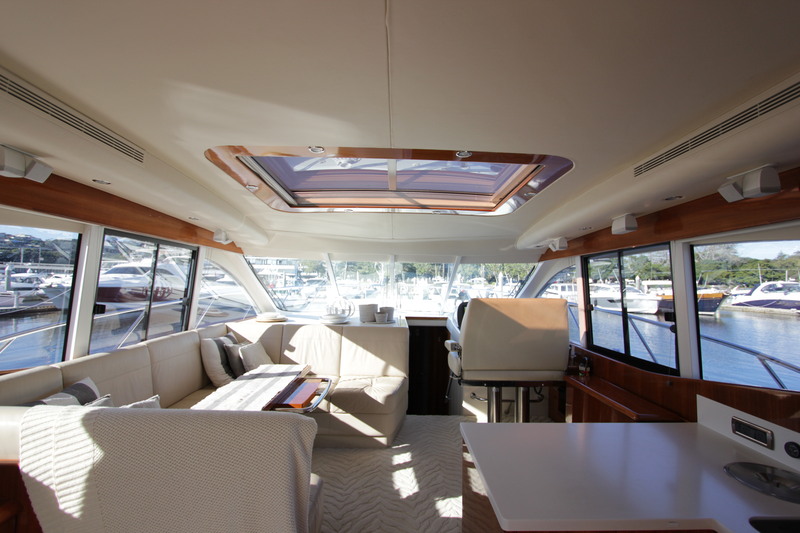 The euro transom is the same as our new Maritimo models with BBQ, Fridge and a centre hatch for quick access to the garage. 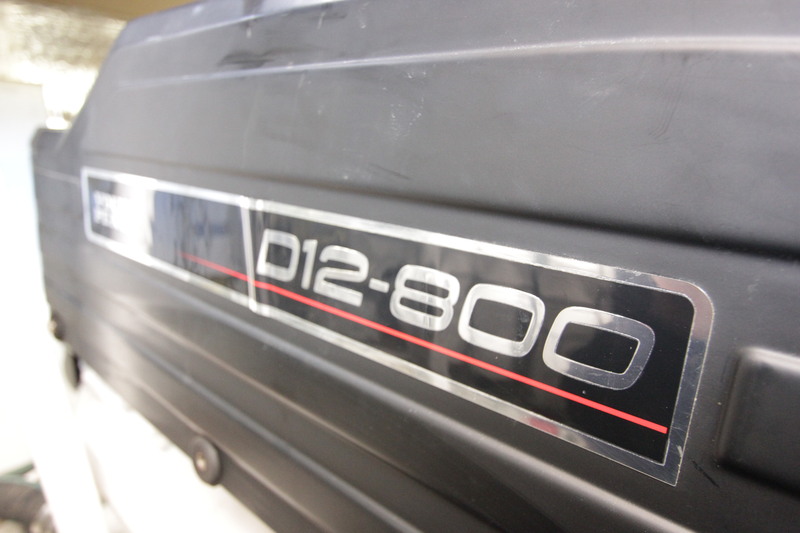 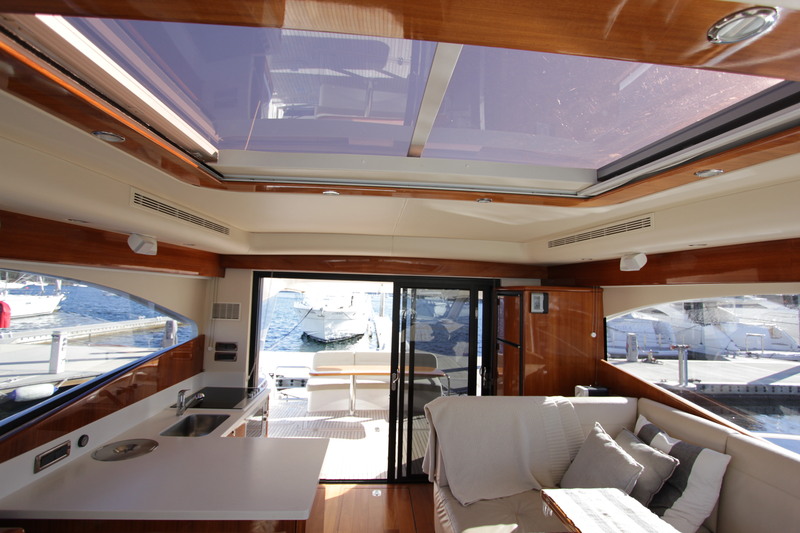 Large lift up garage hatch opens up to reveal a 3m Brig with console and 15hp Yamaha. 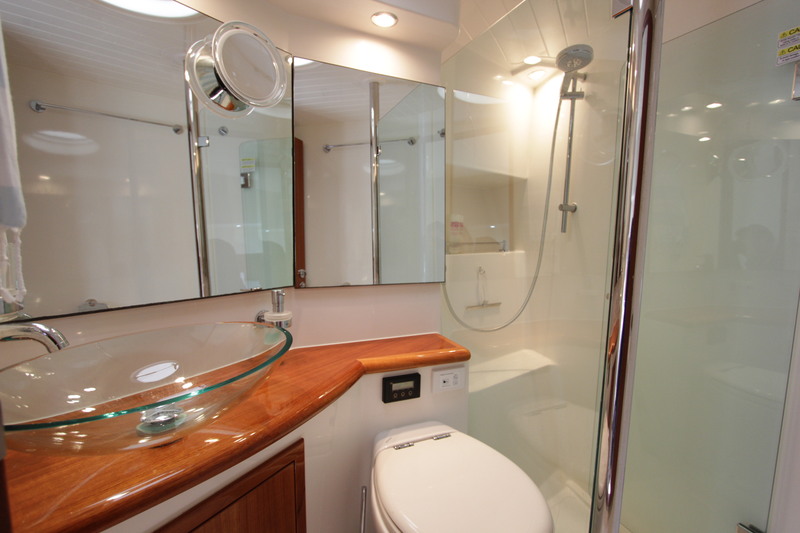 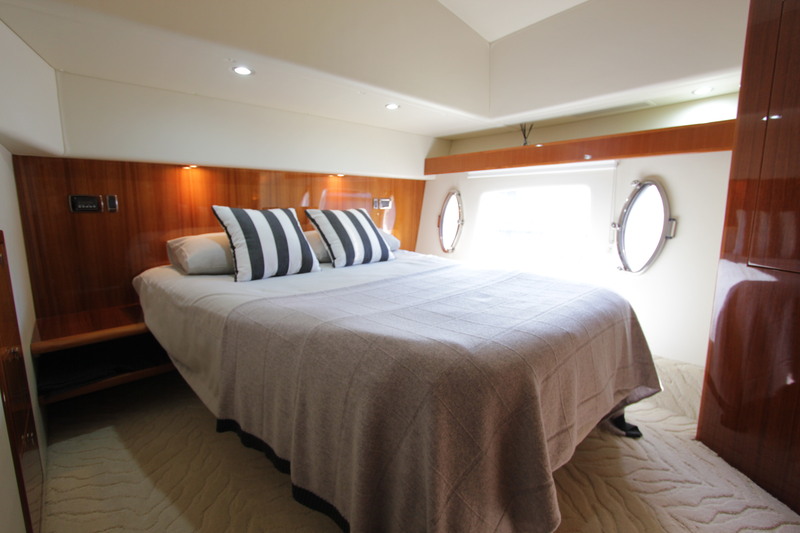 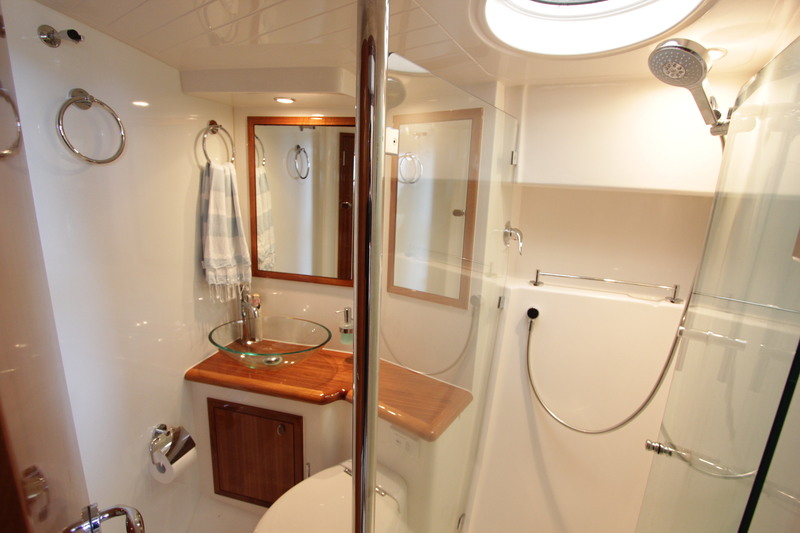 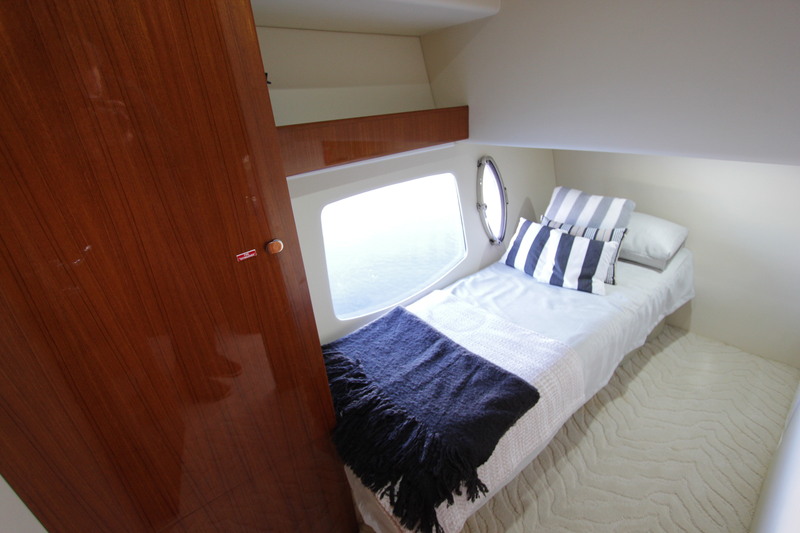 Moving forward and Step downstairs into the accomodation and you will find 3 cabins, 2 doubles with ensuites and a single third cabin, all well appointed with plenty of space and head height throuighout. 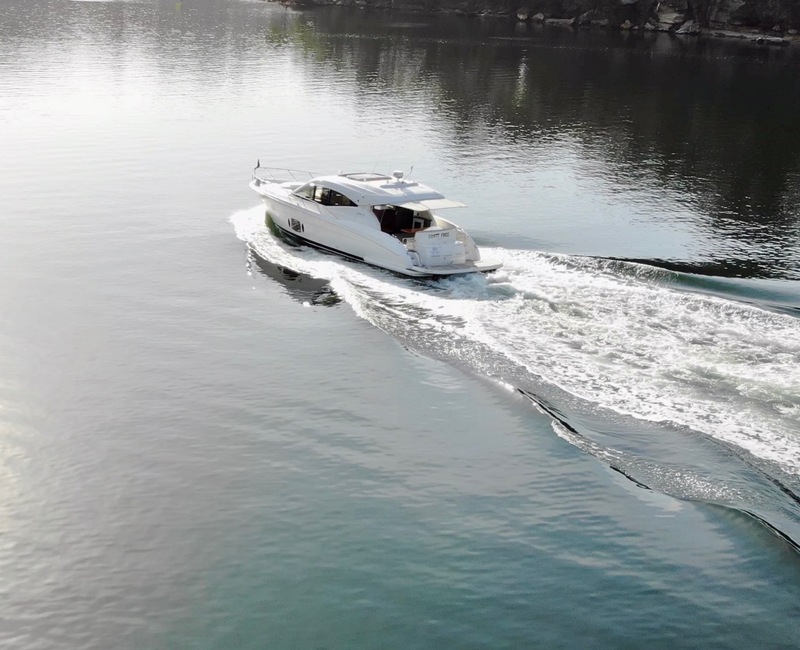 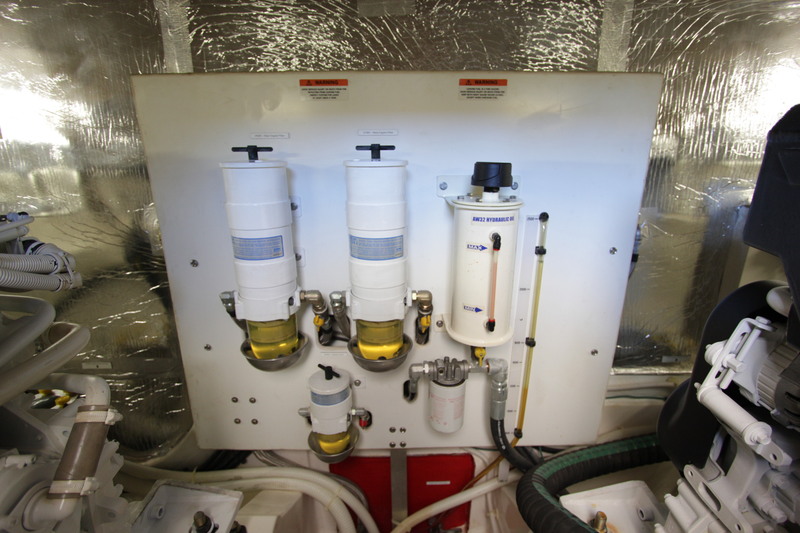 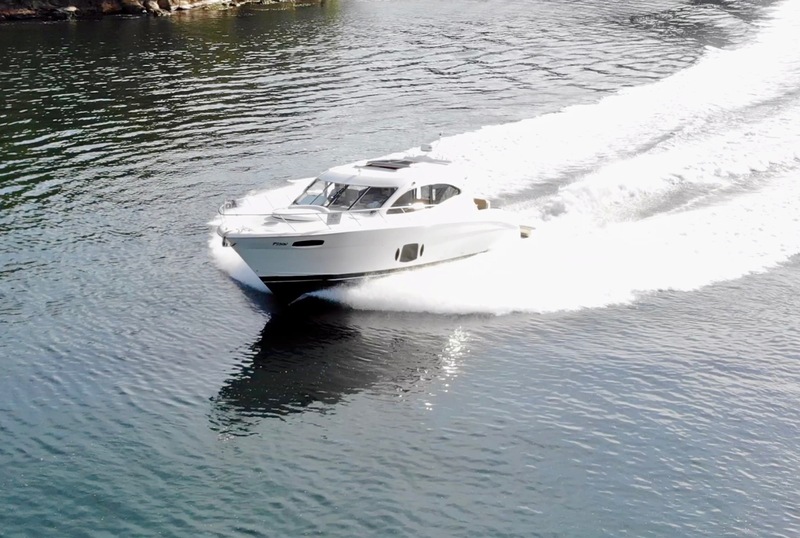 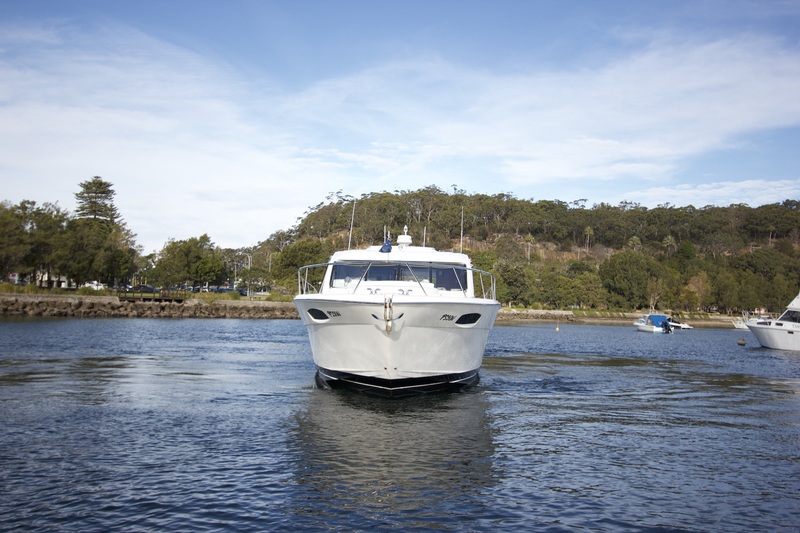 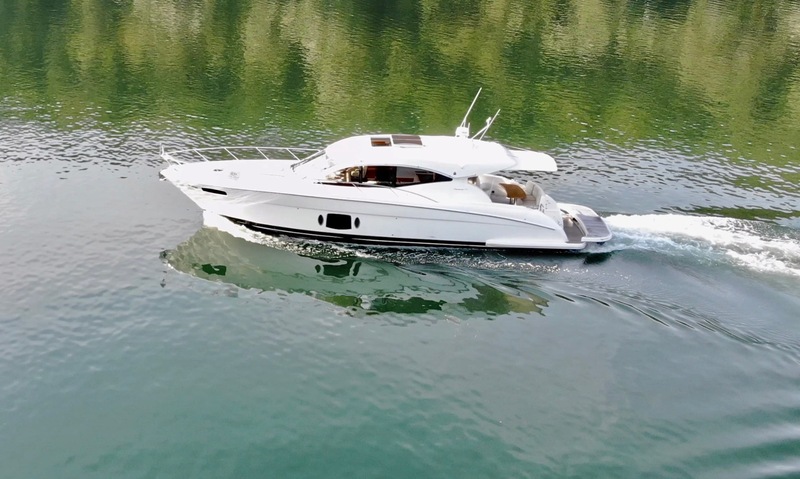 Powered by low hour twin D 12 800 Volvo Penta shaft drive engines equipped with both bow and stern thrusters with sidepower remote and excellent vision from the helm position makes berthing and manouvering a breeze.